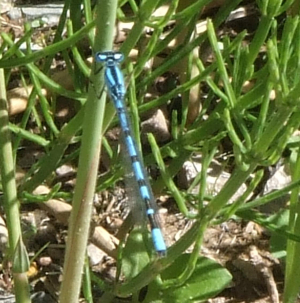 Observation - Dragonfly maybe - UK and Ireland. Description: A blue dragonfly on reed at Leighton Moss RSPB reserve. A blue dragonfly on reed at Leighton Moss RSPB reserve.